(RxWiki News) The US Food and Drug Administration (FDA) has approved the first generic Advair Diskus to treat asthma and chronic obstructive pulmonary disease (COPD). This generic is a combination of two ingredients: fluticasone propionate and salmeterol. Pharmaceutical company Mylan received the FDA’s approval to market this generic inhaler in all three strengths that the brand inhaler is available in. This inhaler is administered twice a day and is approved to treat those with asthma starting at the age of 4, as well as adults with COPD. For those with COPD, this medication is meant to promote better breathing and reduce the number of COPD flare-ups. Asthma is estimated to affect more than 26 million people in the United States — and about seven million of those affected are children. According to the National Heart, Lung and Blood Institute, approximately 12 million adults in the US are diagnosed with COPD. This newly approved inhaler offers a new option for the millions of children and adults with asthma and COPD. The most common side effects seen when this medication was used to treat asthma included upper respiratory tract infections or inflammation, swelling in the back of the throat and a hoarse voice. And when the inhaler was used to treat COPD, the most common side effects included pneumonia, oral candidiasis, throat irritation and a hoarse voice. 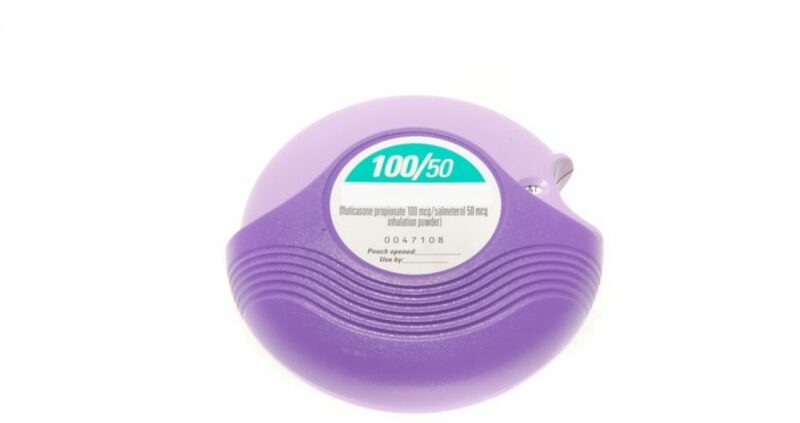 This inhaler is not approved to relieve sudden breathing problems or act as a rescue inhaler. If you are allergic to any of the components of the inhaler or if you have a severe allergy to milk proteins, you should not take this medication.